A coach with a lot of experience, as player is formed in the Real Madrid and Atletico de Madrid among other clubs, taking as colleagues in different teams. Fermín is rigorous, near, kind, exacting, transmitted values sports as the commitment, for achieve players and men and women that play in team and loyal to its colleagues. His specialty is the individual technique, emphasis on the different ways of handling the ball, (dribblings, passes, damping, controls, so on). 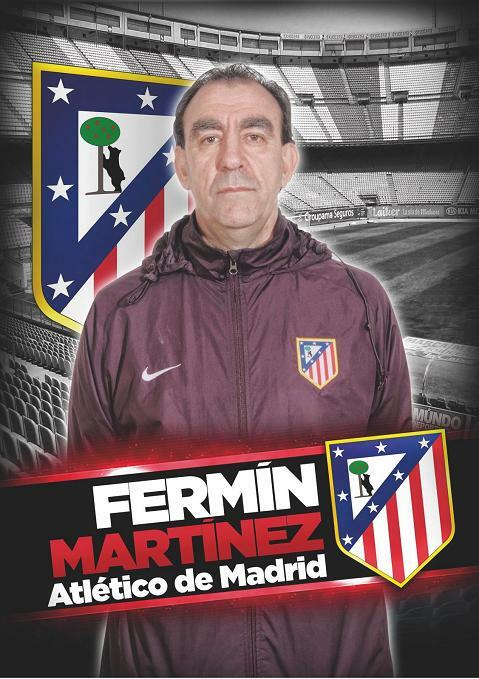 As coach of more than 19 years, forming players in the soccer base at Atlletico de Madrid, helping in the teaching of players of first team and in the different categories of club. He has a Master Degree in training of goalkeepers. His experience in tournaments international is very extensive and dilated. As trainer of players, he devleoped the likes of "Koke", Fernando Torres , "Saul", "Morata" (ex-Real Madrid) "Lucas" (The latest left wing star for France) and "Theo" hernández (Real Madrid) also De Gea (Man U) and other many that now are major professional players.